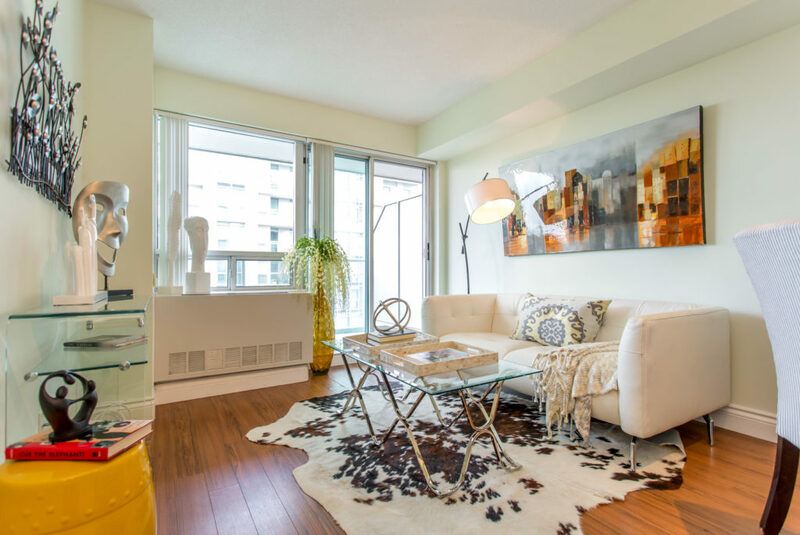 The apartment at 35 Bales Ave. in North York sold for a high ROI within 24 hours after the condo staging team at Design to Impress prepared it. The condo staging process of 35 Bales Ave. began with the removal of personal belongings. Clutter and decorations create a sense of overcrowding, and potential buyers viewing a property for sale want to see space more than anything else. Accessories are essential in order to showcase the purpose of a room, such as a rug in the family room, a vase of flowers in the dining room, or fresh linens in the bedroom. That said, such furnishings are limited – too many accessories can make any room look smaller than it is. 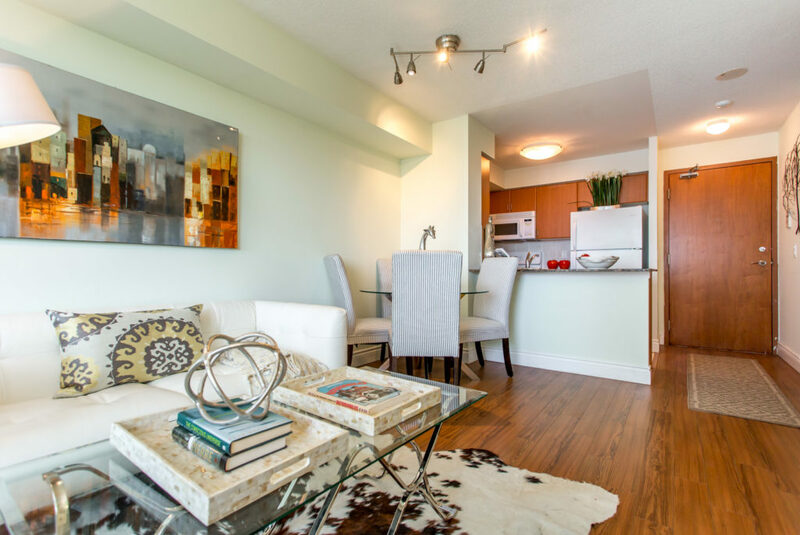 Our condo stagers handled the lighting in each room on an individual basis. Some rooms were dimly lit to make the atmosphere more intimate, such as a dining room or master bedroom. Some areas required more light for safety reasons, such as the bathroom and kitchen. 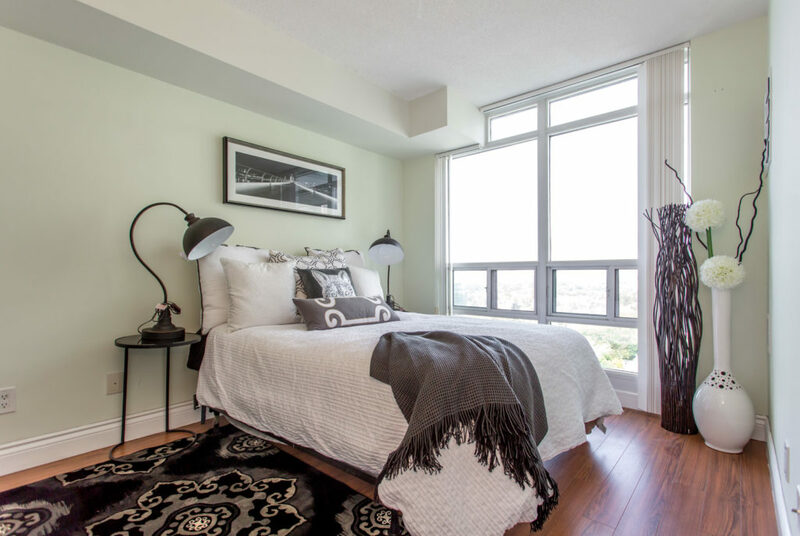 The entire property was staged with neutral colours, furnishings, linens, flooring and the like. 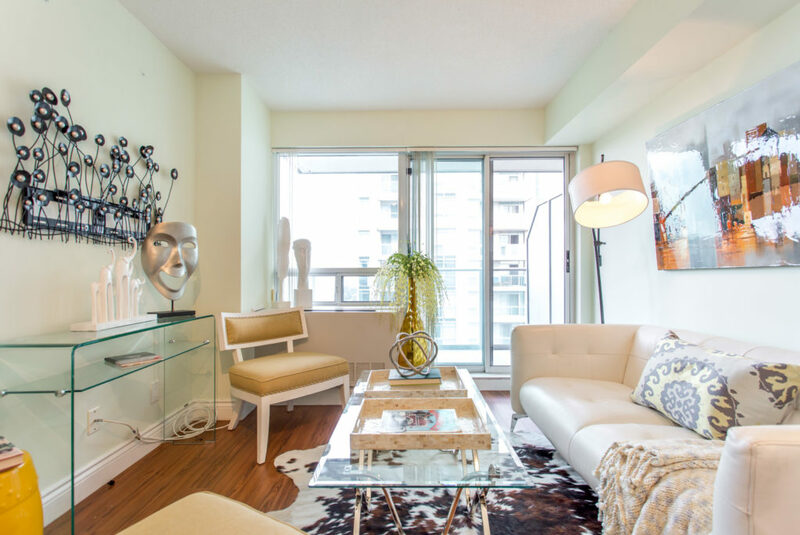 Our condo stagers are mindful of making a room appeal to both sexes of all ages. 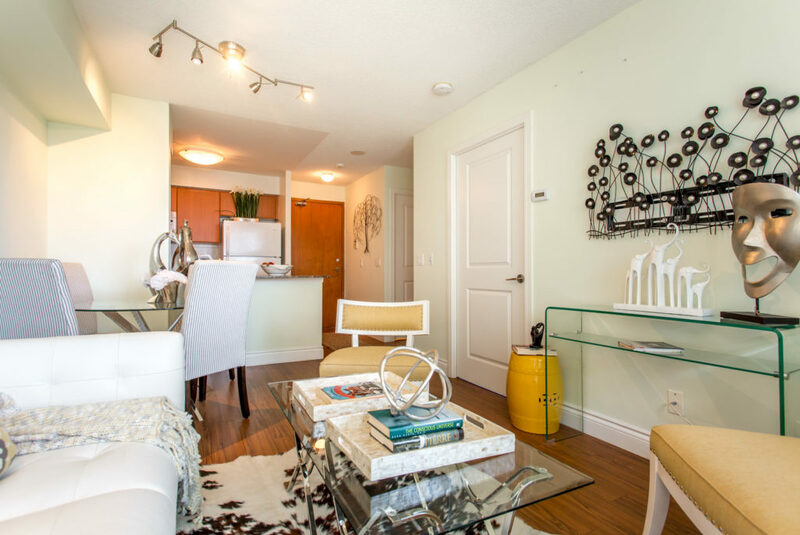 The condo had to remain beautifully generic, giving the buyer an opportunity to visualize themselves living in the space. The kitchen contained a plate of freshly-baked cookies people had the option of taking, as the aroma hit each buyer upon entering the unit. 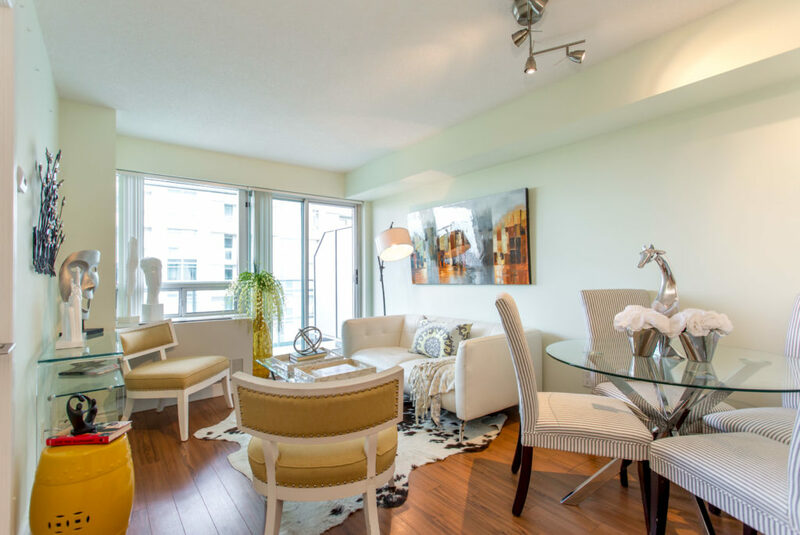 Remember, each visitor forms an opinion of the home within the first eight to ten seconds of viewing it, so it is important that our condo stagers created a strong first impression. The scent of something delicious that appealed to everyone made the kitchen the most exciting room to see. Other rooms, such as the living room, contained a plate of mints, also appealing to the buyer’s other senses. 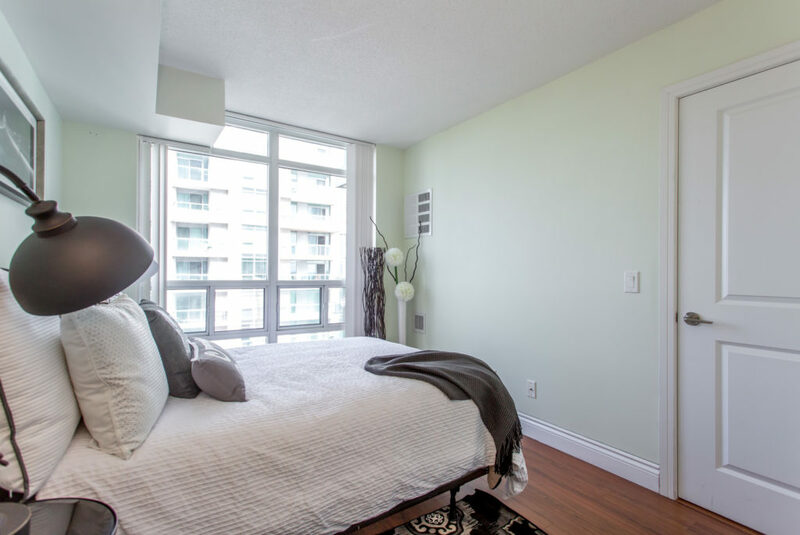 Rooms were pained with neutral colours, all of which blended together to create a smooth flow from room to room. Each colour matched the furniture in each room, and were complimented with accessories to create aesthetically appealing atmospheres throughout the property.